‘The 18m tall column of the Thomas Burns’ monument in the Lower Octagon, Dunedin is no more. It lies in pieces on the grass’, the Otago Daily Times informs its readers.. At 2am on 14 October, 1948, the monument was demolished six months on from the centenary celebrations of the Province of Otago. The City fathers had no love for this tall ‘tomb-like’ monument that sat opposite the statue of Scotland’s son, Robbie Burns. Besides considering it a danger, with the possibility of falling debris, and obscuring the view of the Town Belt, the official reason given to the First Church of Otago, Kirk Session was the desire to open up the southern end of the Octagon. The Council’s suggestion of re-assembling the monument in First Church grounds received a resounding ‘no’ from the Kirk Session. As far as the office-bearers were concerned, the monument would be an unnecessary addition. The First Church building situated on Bell Hill, in the centre of the city, was by far the greatest memorial to the Free Church settlement and the man of faith who led it. Judging by the lack of public response to the proposed demolition, the Dunedin public did not much care for the monument either. Thomas Burns, as a person, held no real interest by this time, and although beneficiaries Tof the dedicated hard work of the colonists, their life experiences bore no resemblance to the hardships of Burns or his associates. One hundred years on, he was an almost forgotten figure resurrected for celebratory and special occasions, then ‘quickly returned to his dusty shelf’. 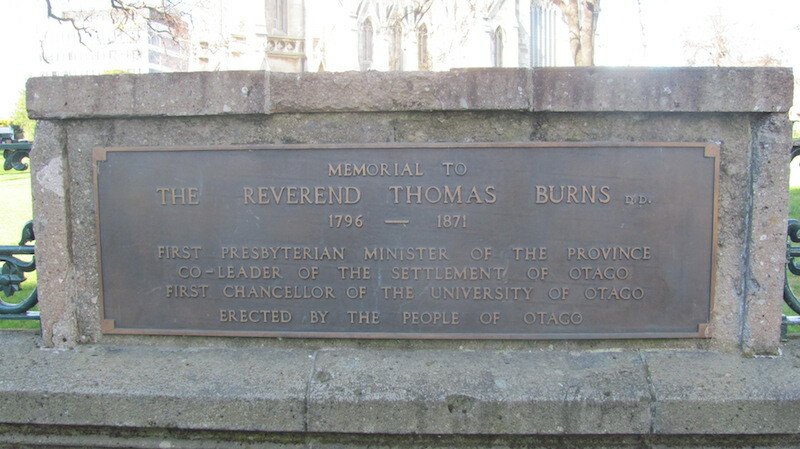 In fact, at the time of the initial proposal one correspondence to the ODT in 1891 suggested he, like many ‘Dunedites’, knew little about Thomas Burns and his life. His observation was that Captain Cook would be a better person to memorialise. 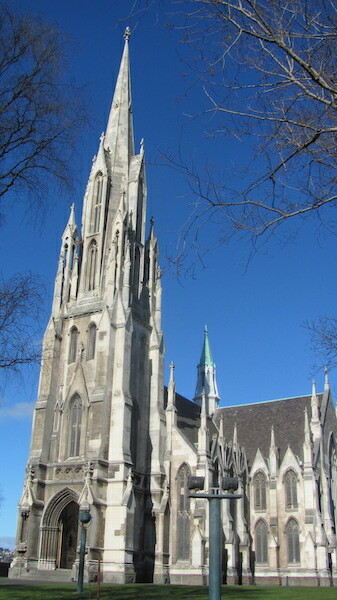 Although not an official Presbyterian function, the old identities that attended in large numbers, participated in a short service of prayer and praise at First Church, led by the Rev. William Will. From the Church they processed to the Octagon to the Pipe Band accompaniment of A man’s a man for a’ that. ‘Civis’, who wrote a satirical column for the Otago Daily Times noted, that the dedication was performed with ‘due decorum but with little enthusiasm’ possibly due to the almost ‘oppressively hot weather’. Robert Chapman, early settler, businessman and admirer of Thomas Burns, privately contributed to the building and erection of the monument at the cost of £1,000. Designed by the architect John Burnside, it consisted of 25 tons of material. The base was constructed of Port Chalmers stone, the sub-base of pillars from Waikawa stone and the column built of stone from Mt Somers, Canterbury. Topped with an Iona Cross, Civis, who may well have reflected the view of others, considered it an unworthy representation for Burns due to the historic symbolism of a pre-reformation era. With tongue in cheek he noted, the more popular barb, Robbie Burns, was being looked down upon by ‘a white, smug and sky-aspiring’ religious symbol. 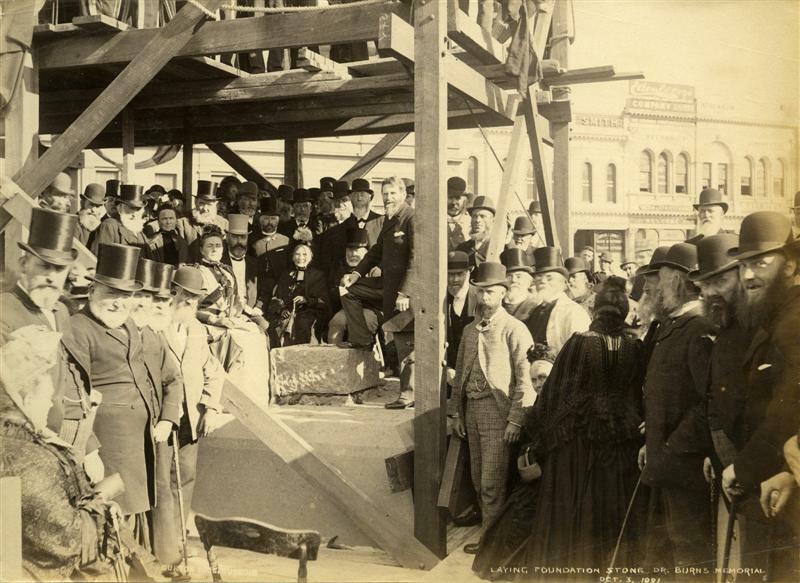 The numerous speeches which showered accolades on Robert Chapman for his generous gift, at the handing over of the Monument to the people of the city in May 1892, and the donors name writ large on several faces of the monument, may go some way to explain why a later generation considered the monument inappropriately placed in the Octagon. 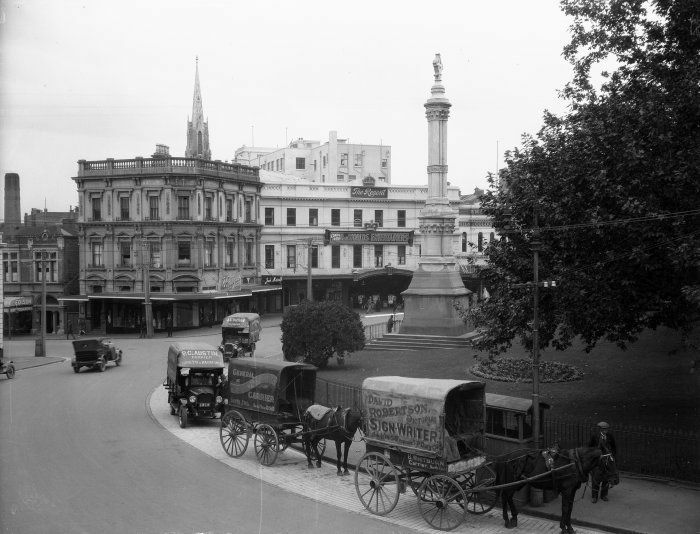 Compared to other monuments of early ‘City Fathers’ around Dunedin the Burn’s monument failed to capture the imagination of the public. The promise of a replacement monument by the City Council took a further decade to be decided on. A less pretentious memorial is found on an outer wall of First Church boundary at the corner of Burlington Street and Moray Place. Letter to First Church Session from the Mayor, Dunedin City Council, July 1947.